Get your car serviced while you wait! To find out more, contact our friendly staff. Enjoy the convenience of ‘while you wait’ servicing. Re-book the exact time you want your car serviced via phone or email, and just check your vehicle in. While you wait, relax in our comfortable Service Lounge area. Expert Toyota trained Technicians, work together for absolute efficiency. Specialised Express Maintenance service bays feature high-tech equipment and diagnostics all at arm’s length. 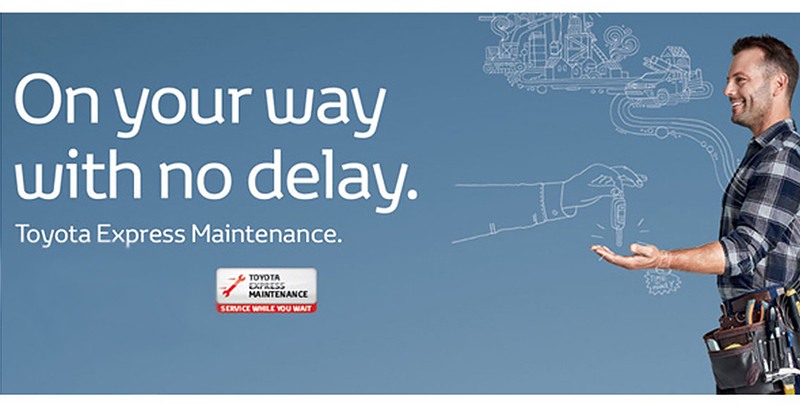 Quality assured servicing according to your Toyota Warranty and Service Logbook. Your car is then ready to go at the promised delivery time.